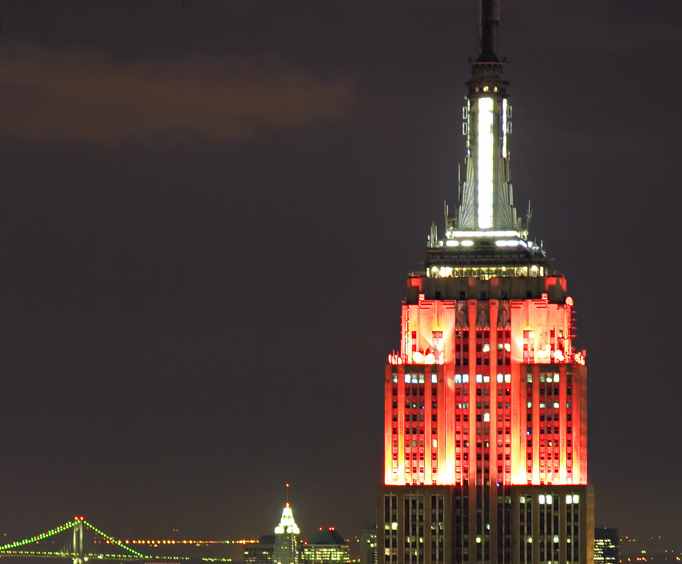 Enjoy the amazing sight of New York City at night with New York See the Lights tour. 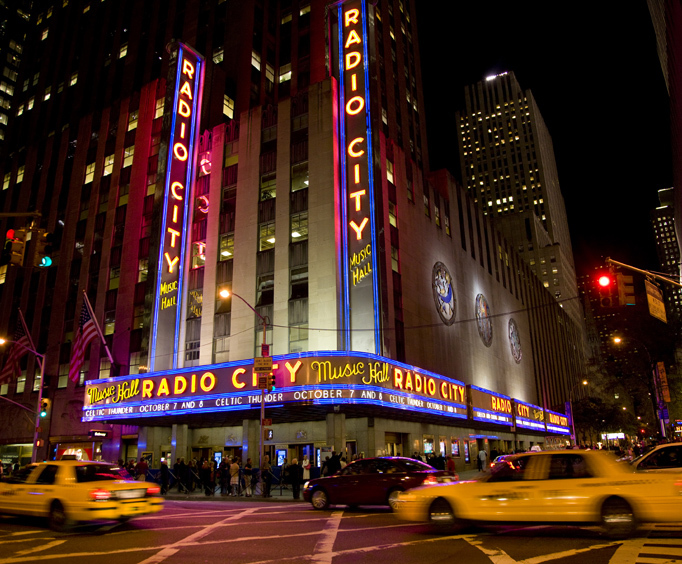 This amazing tour gives you incredible access to the beauty that is New York City at night. Experience the wonder and majesty, the whimsical and the fantastic after the sun sets over the Big Apple. 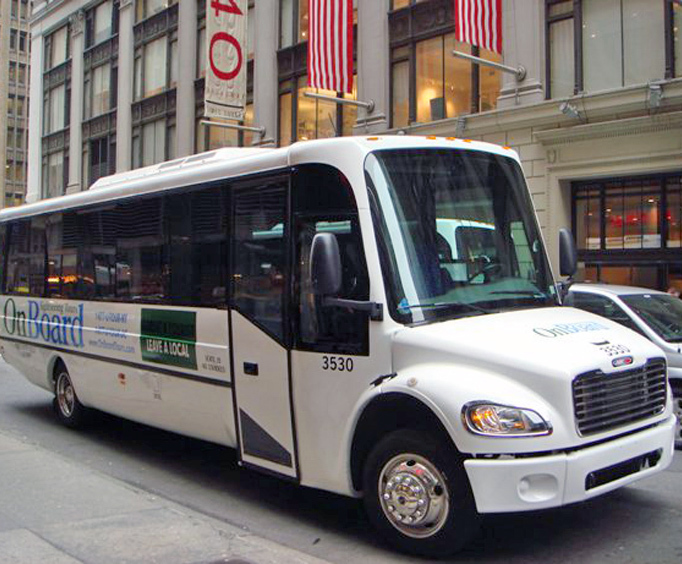 Your tour provides you with an amazing night out on the town, in a way that only New York City can accomplish. This tour embarks from New York City's most famous crossroads of lights: Times Square! From sightseeing and shopping to elegant dining and live shows, there's sure to be something to get everyone excited about visiting this cherished part of the New York City landscape. The tour then coasts down Fifth Avenue, passing the many shops and stores along the thoroughfare, as well as the New York Public Library with its Beaux-Arts facade bathed in light. Keep an eye out for the library's famous marble lions, named Patience and Fortitude. Then stop in Madison Square Park, where you can gaze up the Empire State Building and the Flatiron Building. During the day, Madison Square Park is one of the city's hottest destinations, offering attractions for all kinds of visitors. The stately Washington Square Arch, in Washington Square Park, was built in 1892 and inspired by the Arc de Triomphe in Paris. By night, the arch is beautifully lit up. Stand under it for a romantic photo, in front of the Washington Square Park fountain spraying water into the air. The tour takes a twirl through the Financial District, with a stop in the elegant City Hall Park, which is presided over by gas lamps. Surrounded by centuries-old majestic government buildings that date back to 1812, this park provides a much-needed green spot in a bustling downtown area. Then you will cross over the East River. This tidal strait connects Upper New York Bay on its south end to Long Island Sound on its north end, and it separates Long Island from the island of Manhattan and the Bronx on the mainland. The shuttle heads over Manhattan Bridge, affording views of the Brooklyn Bridge on one side, and the Williamsburg Bridge on the other. This beautiful structure carries automobile, truck, subway, bicycle, and pedestrian traffic over the East River. In Brooklyn, you can explore Fulton Ferry Landing, with lovely views of the twinkling bridge and the Manhattan skyline. Bronze relief drawings of local historic scenes are embedded in the pier deck. Here, you can enjoy all-natural ice cream from the Brooklyn Ice Cream Factory. The final leg of the tour includes the stately Grand Central Terminal, where you'll walk under the cathedral-high ceilings of the grandiose main hall, as the guide points out the terminal's unique architecture like the "whispering gallery." The tour wraps up at Rockefeller Center, a monstrous 19 buildings spread out across 22 acres in midtown Manhattan. Within the center is the Radio City Music Hall, one of the largest indoor theaters in the entire nation and home of the world-famous Radio City Rockettes. This tour is an incredible opportunity to enjoy the beauty and grandeur of New York City at night in a way few others can envision.